Firearm convictions are possible without the weapon’s recovery, at least when it has been fired. As a Virginia criminal/Second Amendment lawyer defending prosecutions for firearms, handguns, knives and other weapons, one of my first lines of defense in such cases is to attack whether the prosecutor has proven that the alleged weapon meets the necessary statutory definition to qualify for the prosecuted criminal charge. Aaron Marketh Gerald has unsuccessfully appealed his Virginia Beach Circuit Court conviction and stiff sentence for “discharging a firearm in public under Code § 18.2‑280, brandishing a firearm under Code § 18.2‑282, [and] possession of a firearm by a convicted felon in violation of Code § 18.2‑308.2.” To top that off, his foregoing conviction violated his probation. Gerald v. Virginia, ___ Va. App. ___ (Oct. 17, 2017). Gerald attacked whether his weapon qualified under the firearms counts against him, particularly seeing that the weapon was not recovered. Unfortunately for Gerald, witnesses testified to his firing the weapon several times, apparently with the firing looking like coming from a real handgun rather than from a cap gun. Gerald’s most harmful opposing witness likely was undercover detective John Belsha — present in the area for another matter — who “parked approximately one hundred and fifty feet past Goode’s vehicle to observe. Belsha watched as the physical altercations developed and, as Gerald was pulling Ramel from the vehicle, Belsha observed ‘a large frame handgun’ in Gerald’s hand. Belsha saw that Gerald ‘point[ed] [the handgun] up, discharge[d] one round, brought the handgun back down, looked at it, and then discharged another round towards the ground.’ ‘” Before Detective Belsha arrived, Gerald had already menacingly fired his handgun a few times before that, no doubt scaring the daylights out of those he was pointing the gun at. Even though Virginia handgun laws are among one of the more favorable for firearm users, as a Virginia criminal lawyer, I know the harsh penalties faced by those convicted of using weapons for no good, in conjunction with drug dealing, and as convicted felons. I also know the pitfalls of having a handgun in one’s car in conformity with Virginia’s handgun laws, only for that very same behavior to become a crime once the car crosses into Maryland, which has very strict handgun laws. 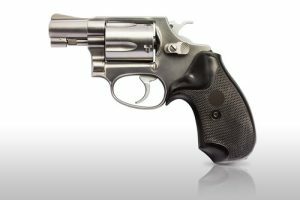 Those with handguns and other weapons need to know the laws governing their possession and use. Fairfax, Virginia criminal lawyer Jon Katz has repeatedly defended clients charged with handgun and other weapons offenses. To discuss your case with Jon, please call his staff to schedule a confidential consultation.